The Billings Refinery is located in Billings, Mont. It has a crude oil processing capacity of 58 MBD and processes a mixture of Canadian heavy, high-sulfur crude oil plus domestic high-sulfur and low-sulfur crude oil, all delivered by pipeline. Its facilities include fluid catalytic cracking and hydrodesulfurization units. A delayed coker converts heavy, high-sulfur residue into higher-value light oils. The refinery produces a high percentage of transportation fuels, such as gasoline, aviation and diesel fuels, as well as fuel-grade petroleum coke. Finished petroleum products from the refinery are delivered via pipeline, railcar and truck. Pipelines transport most of the refined products to markets in Montana, Wyoming, Idaho, Utah and Washington. The Billings Refinery's market value in 2010 according to Montana property records is $508,333,155. NBC5 reported on November 15, 2017 that Yellowstone County commissioners in Montana have approved a tax break sought by the Phillips 66 oil refinery in Billings for a project that improved the refinery's crude oil processing and sulfur recovery. The project began in 2015 and was completed in June. The project cost close to $300 million. The project qualified for the tax reduction under a county program for qualifying new or expanding businesses. 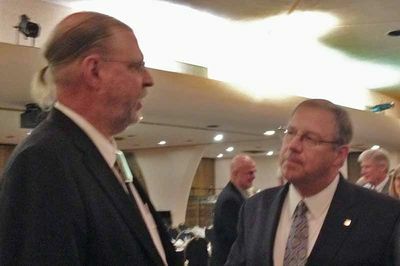 Commission Chairman John Ostlund said the county traditionally has honored requests for the tax incentive and noted the large investment by the refinery. The Billings Gazette reported on April 27, 2017 that Phillips 66's Billings Refinery is undergoing a complete shut down as it ramps up for major maintenance and improvements that include replacing the refinery's 68-year old fluid catalytic cracker and adding a process to enable it to process more heavy Canadian crude oil. The “turnaround,” which occurs every five years, will take almost two months to complete and cost several hundred million dollars with 2,500 employees and contractors working on site during its peak. 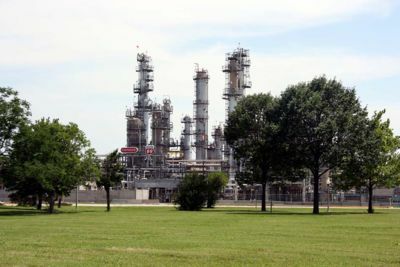 The gradual plant shut down began on April 15, with a total shut down by the beginning of May, said Ryan Wegner, the refinery’s finance and public affairs manager. The refinery will go back online by June. The total turnaround will take about 56 days. One major maintenance item will be to replace the refinery’s fluid catalytic cracker, or FCC, which is a major processing unit that breaks heavy gas oil into other products like gasoline. The FCC is the original unit installed 68 years ago when the plant was built in 1949, Wegner said. Although regular maintenance has kept the unit running, the company decided it was time to replace it, he said. Also included in the turnaround will Phillips 66’s Vacuum Improvement Project, which will allow the refinery to to handle up to 100 percent heavy Canadian crude oil. The Billings Gazette reported on February 24, 2017 that the Phillips 66 Billings Refinery made a $20,000 grant to the Billings Public Library Foundation to purchase enough technology to fill six community crates that will each hold up to 60 educational activities for students of all ages. Teen librarian Cody Allen that each crate is packed with gadgets around a theme like astronomy, computer coding, robotics, engineering, science, and audio-visual, including movie-making. The astronomy tote, for example, contains a telescope, along with an electronic tablet so that several students at once can see the celestial body that the telescope is pointed at. Beginning this summer, teachers and others, including the employees of agencies that serve children, will be trained on using the crates. After that, the totes will be available for checkout. Parents of home-schooled students can also receive the training and check out the totes. The Billings Gazette reported on November 11, 2016 that the Billings Public Library Foundation is the recipient of a $20,000 grant from Phillips 66 that will go to the development of the Community Crates project at the library. Community Crates will be six mobile units with STEAM equipment — science, technology, engineering, art and math — and activities, as well as age- and grade-appropriate curriculum. The crates will help bridge work and programming that’s being offered in the library’s Teen Education and Creation Hub (TECH Lab). The lab opened two years ago and is a digital learning center where teens ages 13-18 learn 21st century STEAM skills. Greg Garland told analysts during the 2016 first quarter earnings conference call on April 29, 2016 that t the Billings refinery, efforts are underway to increase the amount of heavy Canadian crude we can run to 100%. The Billings Gazette reported on December 16, 2015 that Phillips 66 Pipeline donated $30,000 to the Wise Wonders Children's Museum in Billings to improve and expand the downtown space. "We are so excited to get underway with renovations to provide improved facilities and programming," said Kelli Toohill, the museum's executive director. The project will add a multi-use classroom, additional work and exhibition space, and an ADA-accessible family bathroom. The donation will increase the museum space by 50 percent. The Billings Gazette reported on December 16, 2015 that the Phillips Refinery in Billings donated $80,000 to the Yellowstone Kelly project to enhance a popular park and honor U.S. veteran Luther Sage “Yellowstone” Kelly, U.S. Army scout and soldier, who died 87 years ago at his ranch in Paradise, California and was a close friend of President Theodore Roosevelt and Gen. Nelson Miles. The plan is to erect a historical interpretive panels, seating, walking trails and a paved turnaround big enough to accommodate buses. The Yellowstone Kelly project would make this forlorn site a gem of the city park system. Deputy Mayor Jani McCall noted at the Phillips 66 celebration that Swords Park averages about 170,000 visitors annually. In addition to Kelly’s grave, the park is rich in history. The Rims were used by Native Americans and later Boothill Cemetery was situated below the cliffs. The Helena Independent Record reported on December 15, 2015 that Phillips 66 is spending several hundred million dollars on improvements to its Billings refinery on the "Vacuum Improvement Project" which will allow the refinery to process more heavy Canadian crude oil. The project, which employes an average of 200 construction workers and will peak at 350, will continue into 2017. The refinery will continue to operate throughout the construction period and the project will not increase the refinery's capacity. “The Billings refinery currently processes a mixture of Canadian heavy, high-sulfur crude oil plus domestic high-sulfur and low-sulfur crude oils, all delivered by pipeline and truck. This project will allow us to handle up to 100 percent heavy Canadian crude,” Phillips 66 officials said. "While it’s technically possible for us to run Bakken crude oil, it is unlikely given the economics." Tom Luhey wrote in the Billings Gazette on July 8, 2015 that thousands of familiesin Yellowstone County know the perks of good pay and benefits because of the three refineries in the county. Regional oil development combined with Billings’ role as a railroad hub made Yellowstone County right for refineries in the 1930s, though war delayed the creation of Phillips 66 in Billings and ExxonMobil in Lockwood. “The refinery was actually constructed in 1949 by Continental Oil, but it was planned in 1939,” said Shea Dawson of Phillips 66. “There was a hold-up because of World War II.” The Continental refinery started small at 7,500 barrels of crude processed daily, a number similar to ExxonMobil’s beginnings, though Exxon didn’t begin where it’s now located. "Refineries are basically gigantic chemistry sets, pulling products such as diesel and fertilizer from crude oil," writes Luhey. "The people responsible for that chemistry are really smart. Their presence has been influencing Yellowstone County for more than 70 years." Roughly 28 percent of Yellowstone County’s manufacturing employment falls within the Petroleum and Coal Products Manufacturing Sector, according to the Montana Department of Labor Research and Analysis Bureau. The average wage in the industry was $121,092 in 2014. “You don’t go to a car dealership and tell them you work at the refinery without having three salesmen trying to tackle you,” said Johnson adding that he doesn’t think people realize how well educated and diverse the refinery workforce is. “A lot of people don’t understand the diversity and intelligence that’s at the refinery, especially in operations. You have people with college degrees that you cannot imagine." KUL8 reported on Aptril 27, 2015 that Phillips donated $50,000 for a new Firearms Training Facility for the Billings Police Department that will be used by the department for firearms, patrol rifle, and swat team training. Lieutenant Casey Hafner with Billings Police says the landfill donated land south of the landfill off Hillcrest Road for a firearms range and that's where they plan to put the facility. The Bozeman Daily Chronicle reported on April 25, 2015 that Phillips 66 has almost completed upgrades to crossings under the East Gallatin River which were begun after a 2011 rupture on an ExxonMobil pipeline spilled an estimated 42,000 gallons of oil into the Yellowstone River near Billings. The upgrades involve replacing shallow, trenched crossings dug into the bottom the river with deeper crossings drilled beneath rivers at a depth of 30 to 40 feet which reduces the likelihood that erosion during high-flow periods will wash away the material covering pipes and make them vulnerable to damage. The pipeline carries motor fuels produced by Phillips 66’s Billings refinery to western Montana and eastern Washington, said Phillips 66 spokesman Rich Johnson. The safety administration classifies its contents as a “non-highly volatile liquid” product. Phillips said that it has spent about $90 million on river crossing projects in the Rockies since 2011, including 17 drilled crossings in Montana between 2011 and 2014. Kulr8 News reported on February 27, 2015 that Phillips 66 is getting ready to replace a pipe near Mystic Park and bury it deeper below the Yellowstone River and will proactively replacing the crossing with a directionally-drilled crossing using a machine to drill horizontally more than 40 feet below the Yellowstone River in the bedrock and they'll pull the pipe through. "We kicked up that program,” says Mike Miller, the Billings division pipeline manager at Phillips 66. “We've always had a program but we got very aggressive. That's where we said we're going to look at every crossing up here and do a detailed assessment on it and if there's any concerns we're going to proactively get on it." Miller says these crossings didn't pose any imminent concerns. But it's important to do this because rivers can meander or get deeper. If a pipeline gets exposed, it's at risk. "Part of being a responsible company is being a good neighbor and protecting people and the environment. And it's just one of our core values. And this is a big program. It's one of many elements of our pipeline safety program." The Billings Gazette reported on December 5, 2014 that Phillips 66 has donated $50,000 to ZooMontana to build a new wolverine habitat and exhibit. “Phillips 66 is committed to both community and environmental education, so we felt this was a great mix of the two,” said Shea Dawson, the Billings refinery’s manager of finance and public affairs, in a news release. “We look forward to the process of helping ZooMontana construct this exciting exhibit.” The new habitat will be located near the junction in the zoo’s central area that leads to either the wolf or tiger habitats. Designs are underway, and zoo officials hope to put it out for bid soon. Construction likely will begin in the summer of 2015. The Billings Gazette reported on December 2, 2014 that Yellowstone County will be disbursing about $3.3 million in protested taxes from the Phillips 66 oil refinery in Billings after the company and the Montana Department of Revenue settled a tax dispute. 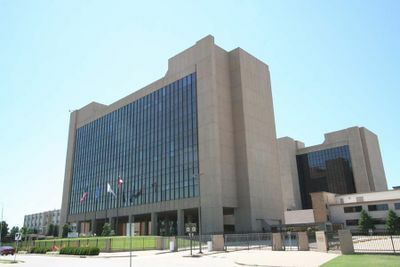 After making adjustments based on the settlement, the county will return $1.8 million, plus interest, to Phillips 66 and distribute $1.4 million to local taxing jurisdictions. The settlement, said county assessor Max Lenington, resulted in amended valuations for the refinery. The appraised value for 2014 was reduced by $82 million to $579 million, he said. And the appraised value for 2013 was reduced by $114 million to $599 million. Phillips 66 protested its 2013 taxes but paid its 2014 taxes at about the time of the settlement. Lenington said the 2014 tax statement will be corrected to reflect the settlement and re-sent. The settlement reduced the 2014 taxes from $9.3 million to $7.9 million, he said. The Billings Gazette reported on September 17, 2014 that Phillips Billings Refinery is the third top taxpayer in Yellowstone County with a taxable valuation of $16,500,425. The Greenfield Daily Reporter reported on September 2, 2014 that workers are scheduled to start on the project to bury about 9 miles of the Yellowstone Pipe Line in Shoshone County under the Coeur d'Alene River Road to to eliminate sections that travel under the Coeur d'Alene River to help protect the environment. Phillips 66 spokeswoman Carrie Wildin says the old pipeline will be left in place but will be purged and cleaned, and then permanently sealed. The 690-mile pipeline carries oil from Billings, Montana, to Moses Lake, Washington, with delivery points along the way. The Billings Gazette reported on Augusut 5, 2014 that with the settlement of several major tax disputes, millions of dollars in protested taxes have been distributed throughout Yellowstone County in one-time payments. Three of the recently resolved tax disputes involved Charter Communications, which protested tax years 2010-2013; Verizon Wireless, which protested years 2009-2013; and Phillips 66, which protested years 2010-2012. Phillips 66 protested a total of about $6.48 million and received a refund of $2 million, or about 32 percent. Tax protests remaining unresolved include about $3.29 million from Phillips 66 for 2013. While it is good to have the disputes resolved and taxes disbursed, said Yellowstone County Finance Director Scott Turner, there will be an overall decrease in the county’s base value because of the settlements. That means one mill levied will raise fewer tax dollars. Cheminfo reported on July 30, 2014 that Phillips will be able to continue operating three pipelines that transport crude oil from Canada after a judge granted access to the final land parcel whose easement had expired. Phillips 66 had negotiated access agreements with about 600 landowners and the tribe where the pipelines cross the Blackfeet Reservation, but filed a condemnation complaint in federal court against the owners of one parcel when negotiations failed. U.S. District Judge Sam Haddon ruled in favor of Phillips 66 and ordered the company to pay the landowners $1,450 in compensation for access to the final parcel concluding that the pipeline locations are reasonable and they are necessary for public use. The company said relocating the 8-inch and two 12-inch pipelines would have cost $2 million. Greg Garland told analysts during the 2nd quarter earnings conference on July 30, 2014 that the fire at the Billings refinery caused some reduced capacity and throughput at our billings facilities. "I think you’re always going to have some ups and some downs and in and outs and we did during the quarter. We had some issues, we had small fire at buildings and so we saw some reduced capacity and throughput at our billings facilities. But in generally I’ll tell you across the system, solid operations." The Billings Gazette reported on July 9, 2014 that has pledged to donate $750,000 over three years to support enhanced science, technology, engineering and math (STEM) education in Billings School District 2 elementary and middle schools. Ray Rigdon, the refinery's manager, said that the donation comes from Phillips 66's Signature Community Initiative, in which it partners with local groups and nonprofits to address targeted, defined issues within the community. "It makes a meaningful investment ... to solve specific community problems with meaningful results," said Rigdon. The money will also fund a technology training center for teachers, students and community members that is expected to open in the fall at Orchard. The Billings Gazette reported on June 12, 2014 that a fire broke out at the large crude unit at the Billings Refinery at about 1:45 that was extinguished in about 15 minutes by on-site personnel. According to Phillips spokesman Travis Sloane, no one was injured in the fire and employees have been dispatched off-site while air quality is measured There does not appear to be any environmental harm as a result of the fire. Clair Johnson reported in the Billings Gazette on May 31, 2013 that Phillips paid its second-half 2012 Yellowstone County property taxes of $3.9 million with $1.3 million protested while its long-running tax dispute with the state of Montana continues. Taxes paid under protest are held in an escrow account pending resolution of the dispute. Taxing jurisdictions can demand distribution of the protested taxes but may have to repay the money depending on how the issues are resolved. Phillips 66 appealed its tax assessment to the Yellowstone County Tax Appeals Board, which sided with the company. The Revenue Department then appealed that decision to the Montana State Tax Appeals Board, which has not yet ruled. Another oil refiner, CHS refinery in Laurel, paid $4.08 million, with $1.6 million paid under protest. Jay Kohn reported for KTVQ on May 21, 2013 that Billngs Refinery employs 295 full time employees and about 100 contractors. Refinery Manager Julian Stoll told the reporter that 98% of the crude processed in Billings Refinery comes from Canada and that production is 60,000 bpd with the two new coke units installed last year, up from 7,500 bpd when the refinery was built in 1949. The Billings Gazette reported on December 29, 2012 that the Billings Refinery is back to normal operations after a compressor that pumps gases from the cracker unit twice tripped offline and a pressure relief valve did not close properly triggering flaring of excess gases. The plant’s main processing unit, the fluid catalytic cracker (FCCU), is back online and operating normally said Phillips spokesman Travis Sloan. "“The refinery is back to normal operations as of 7:20 p.m. last night." The refinery used its flare-gas recovery system to remove sulfides from the gas to cut the amount of sulfur dioxide pollution from the flare and a refinery official reported that flaring at the plant only emitted between eight and 30 pounds a day of sulfur dioxide during the event. The refinery’s air quality permit limits the amount of pollution that can be released by flaring to 150 pounds over a three-hour period, or 1,200 pounds a day. Neither of those limits was exceeded said Jim Hughes, an environmental specialist with the Montana Department of Environmental Quality. The Billings Gazette reported on December 27, 2012 that the failure of a wet-gas compressor on the fluid catalytic cracking unit (FCCU) is to blame for large flames shooting from the refinery's main flare stack that can be seen from the eastern half of Billings. "There is a back pressure release valve that is stuck," says Jim Hughes, an environmental specialist in Billings with the Montana Department of Environmental Quality, adding that there isn't any known public danger. "They haven’t been able to completely close it, so there are gases that are still escaping." Phillips 66 officials also offered reassurance. "We are currently in the process of restoring normal operations," says Travis Sloan, a Phillips 66 spokesman. "Refinery personnel have been monitoring air quality, and there remains no concern for the public at this time. Phillips 66 is committed to protecting the safety and environment in the communities we operate." The Missoulian reported on December 22, 2012 that Phillips 66 is removing an oil pipeline from beneath Bighorn River after determining the line had to be abandoned because it was increasingly exposed by erosion. The planned removal comes in the wake of a break in an Exxon Mobil Corp. pipeline last year beneath the Yellowstone River that spilled an estimated 63,000 barrels of crude into the flooding river and contaminated 70 miles of riverbank. "Like a lot of the older pipelines around here, it wasn't buried real deep," said Fish, Wildlife and Parks spokesman Bob Gibson. "This was one that was considered at risk, and there were times it was exposed. This is good — getting it proactively and replacing it before it pops." Equities.com reported on September 19 that Phillips 66 has taken its property tax protest involving its Billings refinery to court in Yellowstone County filing a complaint that the Montana Department of Revenue illegally or improperly raised the refinery's market value for 2010, resulting in a tax bill that was $623,715 higher. Phillips asked Yellowstone District Judge Ingrid Gustafson to block its revised tax assessment, saying it will "suffer irreparable injury absent the issuance of a preliminary injunction." 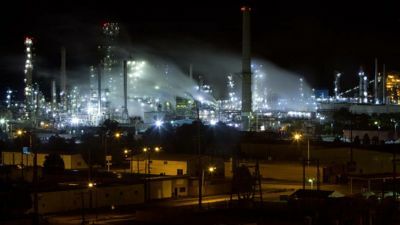 The complaint also said Montana is improperly trying to retroactively raise the refinery's tax assessment from 2003 through 2010 in order to collect more taxes. The refinery's market value in 2010 should be $379,718,534, said Phillips, not the department's retroactive change to $508,333,155. Revenue Department officials in Helena says they conducted a routine audit in July and found that Phillips 66 refinery property that had “either escaped assessment, been erroneously assessed or omitted from taxation” from 2003 to 2010, said department spokeswoman Mary Ann Dunwell. Revenue Department officials in Helena said that they are reviewing the complaint and plan to file a response by the end of next week. The Billings Gazette reported on September 19, 2012 that the Billings refinery will simulate a disaster on September 26, 2012 affecting about 60 volunteers who will have fake but real-looking wounds to test the community’s response to a full-scale disaster. The code name for the operation is COYOTE 2012, which is short for “County of Yellowstone Operating Together in an Emergency.” Held every few years, the drill allows emergency responders and agencies to test their plans in an effort to improve services and to ensure the public receives the highest level of service possible, said Duane Winslow, Yellowstone County’s director of Disaster and Emergency Services. The Missoulian reported on July 14 that Phillips is one of seven refinery, utility and communications companies in Yellowstone County that is protesting their property tax bill for the 2011 tax year. When a company protests its tax bill, the money is placed in an escrow account, earning interest, until the argument is settled. Schools and other taxing entities who were counting on the funds can tap into these “frozen” taxes, but must repay some or all of the money with interest if the taxpayer wins the protest. The Billings Gazette reported on May 15, 2012 that a foul odor from the Billings Refinery prompted some downtown Billings businesses to evacuate. The smell originated from Phillips 66 refinery and was harmless. "We try to to minimize any odors coming from our facility, but during start-up it happens," said Travis Sloan of Phillips 66. The refinery didn't evacuate, Sloan said, but did send observers into surrounding neighborhoods to monitor the smell, which was harmless and dissipated after 20 minutes. Sloan added that the Billings facility has been out of service for its on-going turn around, that started the last week in March. "We did not evacuate anybody, but certainly there were businesses downtown that evacuated their own buildings," said Frank Odermann, Billings Fire Department assistant chief. Odermann added that since the chemical release quickly dissipated, there are no on-going health concerns. KTVQ reported on May 1, 2012 that there will be no major changes with the Billings Refinery in Billing, Montana. "We don't expect any significant changes to our local operations. We are excited about being part of a new, independent downstream energy company. Phillips 66 has a robust portfolio of businesses that already rank among the best-performing players in their industry segments, a strong financial position, an extraordinary global workforce, and a continued commitment to safety and operating excellence." ↑ Equities.com "Phillips 66 Billings refinery sues over property taxes" September 19, 2012. ↑ NBC5. "Tax break granted to Phillips 66 oil refinery in Montana" November 15, 2017. ↑ Billing Gazette. "Billings Phillips 66 oil refinery begins major maintenance project" by Claire Johnson. April 27, 2017. ↑ Billings Gazette. "Six community crates will help bring the library to young learners" by Mike Ferguson. February 23, 2017. ↑ Billings Gazette. "Phillips 66 grant will develop Community Crates at the library" November 11, 2016. ↑ The Missoulian. "Pipeline replacement muddies Rattlesnake Creek" by Rob Chaney. August 24, 2016. ↑ Billings Gazette. "$30K donation will expand children's museum" December 16, 2015. ↑ Billings Gazette. "Historic partnership invests in Billings parks" December 16, 2015. ↑ Helena Independent Record. "Phillips 66 working on major refinery upgrade in Billings" by Tom Howard. December 15, 2015. ↑ Billings Gazette. "Oil refineries are a Yellowstone County mainstay" by Tom Lutey. July 9, 2015. ↑ KULR8. "New Firearms Training Facility in the Works" April 27, 2015. ↑ Bozeman Daily Chronicle. "Oil pipeline under East Gallatin upgraded for safety" by Eric Dietrich. April 25, 2015. ↑ Kulr8 News. "Phillips 66 Taking Proactive Measures to Improve Safety" February 27, 2015. ↑ Billings Gazette. "Grant from Phillips 66 will allow firefighters to videoconference" by Mike Ferguson. December10, 2014. ↑ Billings Gazette. "Phillips 66 donates $50K for ZooMontana wolverine habitat" by Zach Benoit. December 5, 2014. ↑ Billings. Gazette. 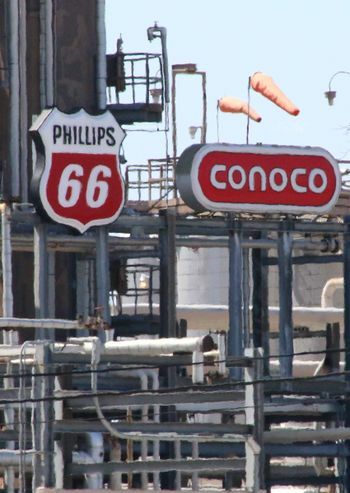 "County adjusts Phillips 66’s tax bill after settlement" by Clair Johnson. December 2, 2014. ↑ Billings Gazette. "Grant funds new upland habitat position" October 7, 2014. ↑ Billings Gazette. "CHS refinery is top taxpayer in Yellowstone County" September 17, 2014. ↑ Greenfield Daily Reporter. "N. Idaho oil pipeline being rerouted from under Coeur d'Alene River" September 2, 2014. ↑ Billings Gazette. "Yellowstone County distributes protested taxes" by Clair Johnson. August 5, 2014. ↑ Cheminfo. "Canada-Billings Pipeline Access Granted" July 30, 2014. ↑ Billings Gazette. "Phillips 66 gives $750K to SD2's science, technology program" by Zach Benoit. July 9, 2014. ↑ Billings Gazette. "Phillips 66 fire crew extinguishes blaze in crude unit" by Chris Cioffi. June 12, 2014. ↑ Billings Gazette. "CHS, Phillips 66 refineries continue tax protests" by Clair Johnson. May 31, 2013. ↑ KTVQ. "The Pipeline: Phillips 66 Refinery Manager bullish on plant's future" by Jay Kohn. May 21, 2013. ↑ Billings Gazette. "Phillips 66 refinery back to normal after flaring" by Clair Johnson. December 28, 2012. ↑ Billings Gazette. "Compressor failure leads to larger flare at Phillips 66 refinery" by Zach Benoit. December 27, 2012. ↑ Missoulian. "Phillips 66 to remove oil pipeline beneath Bighorn River" December 22, 2012. ↑ Billings Gazette. "Community disaster drill planned at Phillips 66 refinery" September 19, 2012. ↑ The Missoulian. "Corporate tax protests a concern in Yellowstone County" July 14, 2012. ↑ Billings Gazette. 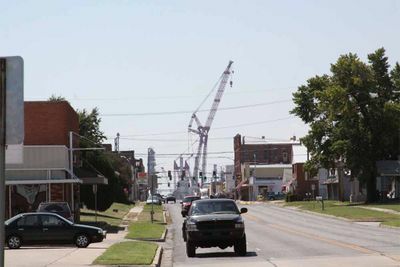 "Refinery smell alarms downtown businesses" by Tom Lutey. May 15, 2012. ↑ KTVQ. "Local refinery in Billings becomes Phillips 66" by Drew Trafton. May 1,2012. This page was last modified on 20 November 2017, at 03:04. This page has been accessed 16,006 times.